When I was first diagnosed with the digestive disorder fructose malabsorption and started on the low FODMAP diet, I was craving roasted chicken and white rice. This was very odd for me because for the four years before that, I was mostly vegetarian and my rice of choice was always brown, not white. I think that because I was suffering from so many different symptoms at that time, I became afraid of food. White rice and chicken were safe and did not make me sick. Over time I began to feel better and with the help of my nutritionist, I started branching out and trying different low FODMAP foods. The two resources that helped me the most were the one page shopping list created by nutritionist Kate Scarlata and the Monash University low FODMAP app. Even though I was more adventurous than in my roasted chicken and white rice days, I noticed that I was eating a lot of brown rice. Wheat is one of my trigger foods and I mostly avoid it except for a French baguette on a cheat day when I am feeling well. In my effort to avoid wheat, I was eating gluten free foods, such as brown rice pasta, brown rice tortilla, and brown rice. That’s a lot of brown rice. I realized that to gain more nutrients and to increase my sources of protein since I was again mostly vegetarian, I needed to experiment with new grains. I learned about grains I had tried before but did not cook at home, like quinoa and oats, and grains I never heard about like millet and amaranth. It has been a fun food journey and I now have many more nutritional options in addition to my beloved brown rice. And I still have even more grains to try. So if you are like me and want to lean about more options for your grains, check below for information on some wonderful gluten-free grains. These are tiny seeds with a peppery and nutty taste originally eaten by the Aztecs 6,000 to 8,000 years ago. It is a good source of protein, vitamins B and C, calcium, and iron and is thought to lower cholesterol. In addition to being eaten as a grain, it can be popped like popcorn. I like to add bananas, pecans, cinnamon, and vanilla to it and eat it for breakfast. Other options are to mix it with other grains to reduce the sticky porridge nature of it or to add it into soups and stews to thicken them. Is a short grain rice used to make creamy risotto and is also good in rice puddings. Arborio rice is easy to digest and has been shown to help with digestive problems like diarrhea and constipation. It also has 9 grams of protein per serving and has vitamins A and C.
One of the reasons I was eating a lot of rice when I was feeling sick is probably the same reason that rice is a good food to give babies as their first solid food—it is easy to digest. Brown rice is good for diabetes because it stabilizes blood sugar; it can heal digestive systems suffering from candida yeast infections; it is high in selenium which can reduce chances of cancer, heart disease, and arthritis; and it is high in manganese, antioxidants, and fiber. Buckwheat, a fruit related to the rhubarb, is high in the antioxidant rutin and magnesium. Buckwheat is a good grain for those with heart disease and diabetes. My favorite is buckwheat crepes that I found at a local creperie near my home. You can use it in pancakes, baked goods, salads, or make it as a breakfast porridge. Millet, a grass, is an easily digestible and easy to prepare grain and is a rich source of protein and antioxidants. Millet stabilizes blood sugar, which is good for diabetes and lowers cholesterol. Once I learned how to prepare this well, it has become my new favorite grain. I love to place stewed lentils on top of millet and let the sauce absorb into the millet. 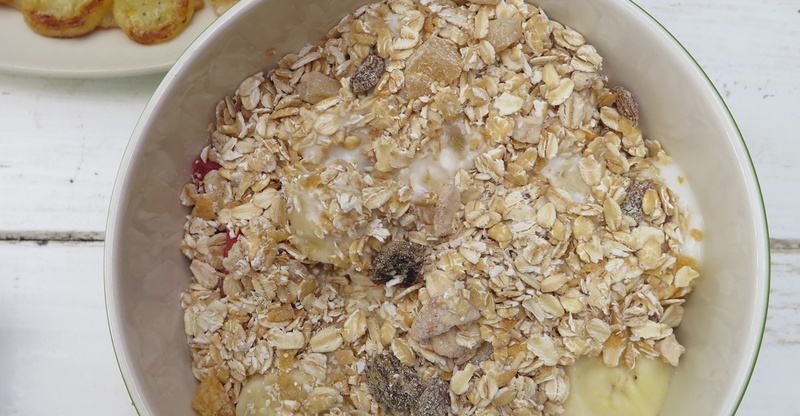 Oats are gluten-free but can become contaminated with wheat in facilities when they are processed. To be safe, buy oats with gluten-free listed on the label. Oats are beneficial because they have lignans to reduce heart disease, antioxidants to protect against heart disease, the fiber beta-glucans to lower cholesterol and can also help lower diabetes. I add oats to my chia puddings, smoothies, and use as a binder instead of breadcrumbs. Quinoa is not actually a grain but a seed from a vegetable related to Swiss chard, spinach and beets. It is small and originally eaten by the Incas in the Andes. It is an excellent source of protein. Our body makes some of the amino acids that compose protein, called non-essential amino acids. Essential amino acids are the ones that we need to obtain from our diet because our bodies do not make them. Quinoa has all of the essential amino acids our bodies need. Quinoa cooks within 10-12 minutes, so this is my favorite grain to make for dinner when I get home later and want to cook a quick meal. Sorghum is another grain that can be popped like popcorn and is rich in fiber, protein and nutrients. It has been linked to help with cancer growth, diabetes and cholesterol. Sorghum can be made into a porridge, flour, and beer. Teff is a type of millet known well in Ethiopia, India, and Australia. It is a small grain, smaller than quinoa and millet and grows in red, brown, or white and can be added to baked goods and stews, and made into porridge and burgers. It is high in calcium and vitamin C.
Like corn, wild rice is native to North America. It is actually not rice, but a seed of a grass. It is a good source of protein, fiber folate, magnesium, phosphorus, manganese, zinc, Vitamin B6, and niacin. A fun fact about wild rice is that you can pop it like popcorn. To do so, add the rice to some oil and shake it over heat. It’s amazing how many food options we have — from taste to nutritional benefits.